If centennial and mortar laid by the parishioners of Tignish could speak, many and varied would be the tales told of happenings to Our Lady of Angels Convent since that memorable day in 1868 when the sisters of the Congregation-de-Notre Dame in Montreal first took up residence in the present structure. In the mid 1860’s, the people from Tignish and surrounding areas were becoming increasingly aware of the need for better educational facilities. Bishop Peter MacIntyre made a promise to the parishioners that as soon as a convent was built in the community, he would make sure that some sisters from Montreal would come to live there to teach. 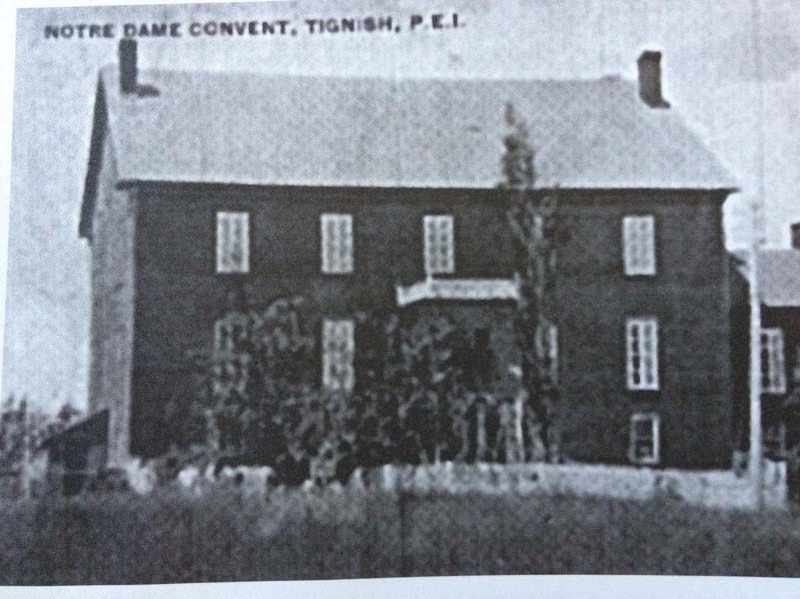 The people of the area began at once to construct the convent, building it of brick manufactured right in Tignish. 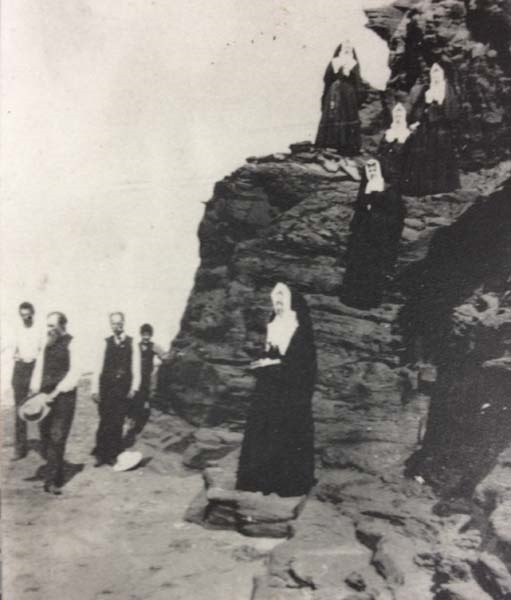 Two years later, Bishop MacIntyre wrote to Montreal to inform the sisters that the building was ready for them. Many reports of the beauty of the building and of the preparations being made had reached the sisters, but the reality surpassed anything they could have imagined. What astonished them most was that they were the recipients of such a magnificent convent built by the parishioners who themselves had only the basic necessities. Classes in the convent were opened on October 14, 1868 with fourteen pupils, three of whom were boarders. The building functioned as a private girl’s school for fifty-four years at which time it become a public learning institution. Classes were taught at the convent until January 1966 when the building closed its classrooms. 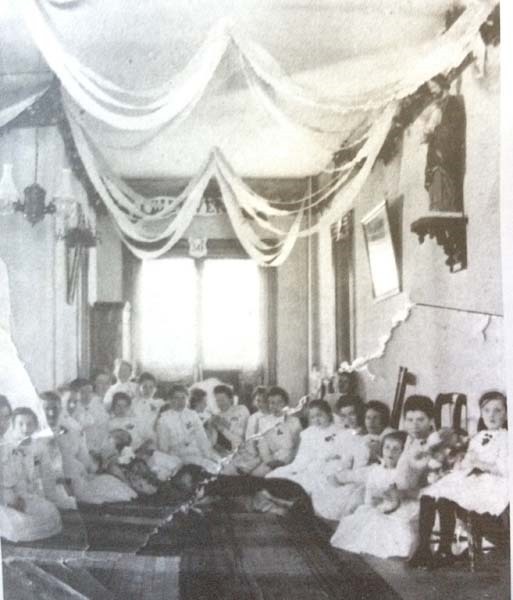 After ninety-seven years as an educational institute, the convent took on a calm and quiet atmosphere. The space formerly occupied by the students, like the rest of the building, was very tastefully redecorated to serve as living quarters for the resident sisters. The convent closed its doors for good in 1991.